Your car’s timing belt has a fundamental role to play in ensuring that the main parts of the engine all keep running in sync with each other. It’s only a single, small piece of reinforced rubber - or in some instances, a toothed metal belt - but this often-neglected part holds the key to making sure that all your engine’s valves are opening and closing at the precise intervals needed to ensure that the engine gets precisely the right mixture of fuel and air for the driving conditions it’s being subjected to. Like lots of other moving parts which are usually well hidden under your bonnet, there’s a set period after which your car’s manufacturer will strongly recommend that you have your timing belt replaced. And because that timescale can be quite long in comparison with most other regular maintenance tasks, you should always be sure that you know when that suggested replacement time falls. A failed timing belt is sure to mean a big bill - we’re talking at least several hundred pounds here. So the cost of ignoring pre-failure timing belt symptoms and routine maintenance schedules and notifications can be catastrophic for your vehicle, your wallet, and potentially in terms of the time needed to get it to a garage and have the timing belt problems repaired. Because the timing belt is so centrally located on the side of your engine block, its replacement often entails other parts also being removed and swapped. That’s why simply replacing a timing belt shouldn’t be carried out in isolation, but in conjunction with a series of other regular maintenance or replacement jobs. This way, you’ll be sure that your belt is, first, regularly inspected, and second, replaced at the required interval. Suggested periods vary from one car manufacturer to the next, but common wisdom says this should be 40,000 to 60,000 miles. You’re probably thinking that you’ll never cover that amount of mileage in the car - but even if you don’t, those interim inspections are especially important, as they may flag up signs of belt wear, which might, in turn, alert you to the imminent need for a replacement. And if you buy a used car, a key question you should always ask - especially if its mileage is in the band mentioned above - is whether it has already had a timing belt replacement. Not only will this potentially save you a few hundred pounds, it will also give you a big hint as to how well the car has been maintained, and the expense to which the previous owner/s was/were willing to go to. Trying to gauge how long such a vital component will last is likely to be something of a gamble, so keeping timing belt replacement synchronised with the rest of your regular maintenance tasks is always a wise idea. But in case you’re not already convinced, here are a few signs to look out for which could point to likely problems with your timing belt which might mean a replacement is due. You start to find regular problems in starting the car: A failed timing belt will mean it simply won’t start - full stop. But if it’s starting to get temperamental in this regard, it’s one possible cause you should investigate. You hear squeaking noises from the vicinity of the timing belt cover: A sure sign that the belt is starting to give way under the stress of prolonged use, this is a signal that you need to have your timing belt inspected and, quite possibly, replaced. Your engine suddenly starts to sound as though it’s running much faster than normal, even when it’s idling: This will come about because the broken timing belt means the flywheels do not meet any resistance in their rotation. If you encounter this, and you then look under the bonnet and confirm the worst, seek help immediately. You might not even get any warning signs at all, because the belt might simply snap, and you’ll suddenly lose power from the engine. This discussion thread notes that some old Vauxhalls used to be capable of being driven after the belt had snapped - but for the sake of your finances, it’s very unwise to gamble on this being the case with any car. If your car is one of a minority - but a sizeable proportion nonetheless - fitted with a timing chain, rather than a belt, you could be a little luckier. A metal chain is always likely to display more signs of imminent failure than a simple rubber belt, and the major clue will come in the form of a rattling noise from the chain, which is a sure sign that it isn’t properly tensioned, and so needs prompt attention. One contributor to the same thread put his finger on one of the biggest problems with diagnosing a timing belt failure, when he noted: “You have to pay out for a fix before you can tell if it’s wreaked any damage”. In other words, fixing a snapped timing belt may well solve the immediate cause of a problem, but there will be a great deal of inspection needed to ascertain what other damage has been caused - and that, in turn, entails getting the car off the ground, in order to be able to examine the bottom side of the engine. Once a timing belt has been replaced, a car may even be more susceptible to another identical problem, added the same contributor. This is because it’s quite common for a replacement belt to be fitted too tightly, leaving it at risk of failing prematurely. Indeed, this guide shows vividly that incorrect tension of a timing belt is a common cause of sudden breakdowns. In every instance, preventive maintenance is always the best way to ensure that everything is kept in order. In other words, getting your timing belt checked out any time you have a mechanic looking under your car’s bonnet is always a good move. A good step in trying to head off any timing belt problems is to change the oil in your engine at least every six months or at 5,000-mile intervals. While many manufacturers will say that it isn’t necessary to do so as often as this, the simple process of having the job done should give a mechanic a chance to have a good look at the belt and report to you on its condition. So the bad news, overall, is that, aside from replacement as recommended by your car manufacturer, there’s nothing you can do which will guarantee to prevent a timing belt failure, besides having it examined as part of a regular servicing programme. You simply have to be aware of the recommended replacement cycle for your car, and make sure that you adhere to it. So if it’s been awhile since you booked your car in for a routine service, that should be your first step in guarding against timing belt failure, and the potential for major expense and disruption to your routine. 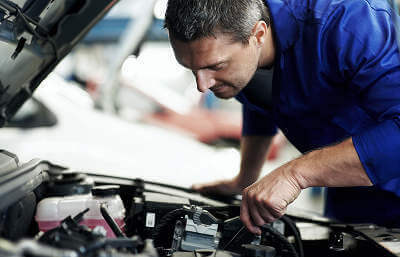 If your car’s due a service, you can find garages in your area quickly, and get quotes for the job by entering your details at Mycarneedsa.com. It’s a key measure in protecting yourself against a host of possibly more expensive problems, such as timing belt failure.